Next time you visit our wine bar, join our Reserve Program and enjoy exclusive benefits just by drinking and eating at Brooklyn Winery. When you join the program you'll receive your very own Reserve Program membership card, which allows you to rack up points with every dollar you spend in our wine bar. As you reach certain point levels you'll unlock great perks like complimentary wine and food, tour and tasting tickets, and gift cards. The more points you accumulate, the more access you'll get—so hang onto that card and be sure to bring it with you at every visit. Have a question about your card or want to know how many points you have? Send us an email at [email protected] and we can help you out! Online sales do not count towards points. 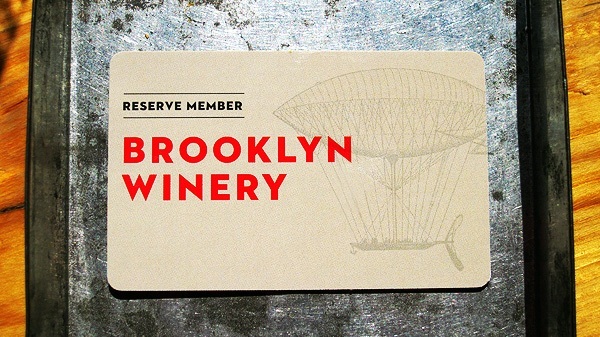 The Brooklyn Winery Reserve Program is not valid with any other offer. This card is property of Brooklyn Winery and its privileges may be restricted or changed at any time. This card is not transferable. Use of this card constitutes acceptance of the current terms and conditions of the Brooklyn Winery Reserve Program. For all questions about the program please email us at [email protected].